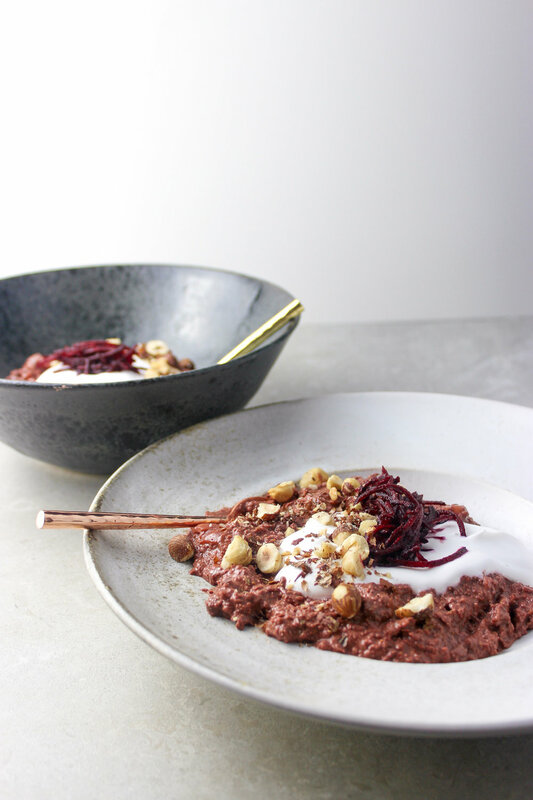 A crowd pleaser when it was part of our product range, our cacao + beetroot bircher is ideal to prep ahead for weekday mornings or to enjoy on those lazy days when the festive break rolls around. If you're hosting a crowd this Christmas, simply double up the recipe for no extra effort, but plenty more satisfied stomachs. 1. Heat the oven to 200 degrees. Spread the hazelnuts on a baking tray and place in the oven. Toast the hazelnuts for 10 minutes, then remove from the oven. 2. Peel and finely grate the beetroot. 3. Cut the figs into small pieces. 4. Roughly chop the hazlenuts into small chunks. 5. Mix all the ingredients together and stir well. 6. Leave to soak for at least 1 hour, preferably overnight, before serving. 7. 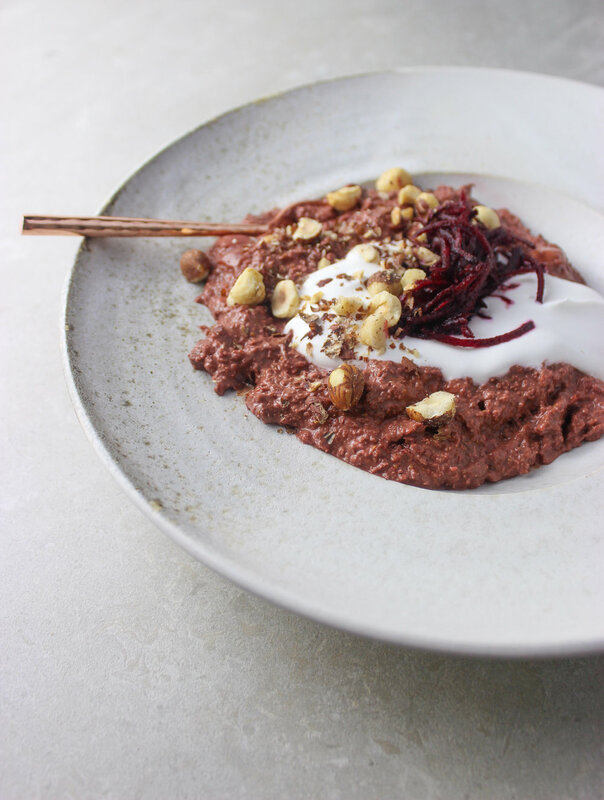 To serve, top with a tbsp of coconut yoghurt, and an extra sprinkle of hazelnuts.